It happens every year; summer winds down and the cool weather slowly makes its way in. As hard as it can be to pack away those shorts and summer dresses, it feels good to drag out the sweaters and the jeans. Don’t forget though, just because your jeans and sweaters cover your skin doesn’t mean that you can take a break on your skin care regimen. Proper care can mean the difference between healthy skin and dry flaky skin. In the summer, fruity shower gels are a popular treat, but just be sure that your current favorite isn’t going to dry out your skin when the dry cold weather comes in. You’ll want to find a shower gel that is soap-free as well as hydrating. In the fall and winter, I like to put away the gels and bring out a creamy body wash.
Fresh: Milk Bath and Shower Cream (compare prices) is a great mild scent for fall, but be on the look out for fantastic nutty or fall scents like pumpkin or oatmeal cookie. I think oily based scrubs are perfect for fall and winter because you are getting the exfoliating benefits with the extra bonus of hydrating oils. And when it comes to oily scrubs, the choices are endless! You can find scrubs that have a lot of oil swimming on top all the way to scrubs that are more of a solid consistency. I can’t stress this enough; if you want to keep dry skin at bay, you must hydrate your skin on a daily basis. The best time to apply your lotion is right after you’ve dried off after your shower or bath. Seal in the moisture that’s already been absorbed into your skin. 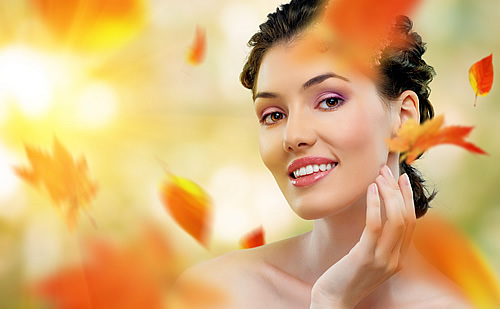 When the seasons change, you may notice your skin type changes as well. 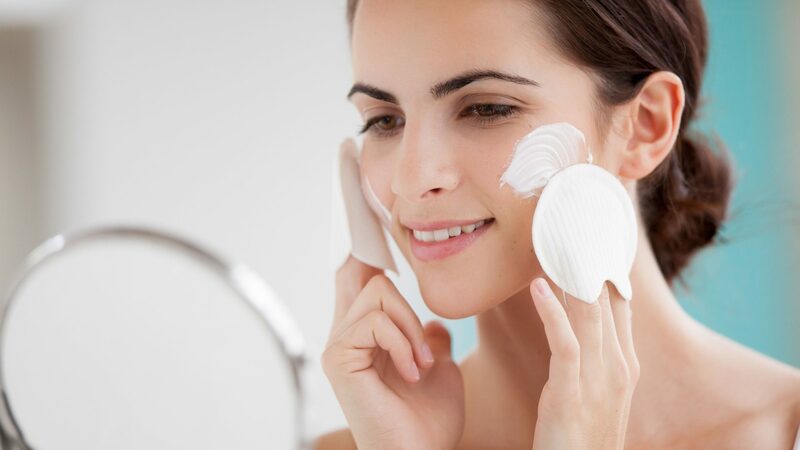 This is the time where some with oily skin might notice their skin turns a bit normal, or those with normal skin might consider their skin is suddenly dry. Watch your skin as the weather turns cold to see if you need to change up your skin care products and switch them accordingly. If you aren’t sure whether your skin needs a new regime, try talking to a consultant at a cosmetics counter. Many times they can ask you simple questions to see what skin care type you fall in. With facial masks, facial exfoliators and other extra skin care steps, it can be hard to remember when you applied your last peel or took the time for your last mask. This is a problem or irritation that you won’t ever have to worry about if you take the time to make a skin care routine. I know it sounds funny, but if you know that every Sunday morning you’ll apply a facial mask, and Tuesdays and Fridays are saved for exfoliating, you’ll no longer have to think about it. Make your schedule for the days that work best for you and stick with it. Your skin will have the constant benefits, and you’ll see it in your face. Just because you may not be laying on the beach doesn’t mean you can forget the sunscreen for the next 6 months. Sunscreen is a daily essential, so don’t set it aside. Use a moisturizer with SPF 15 at the minimum and reapply with a facial sunscreen throughout the day as needed. One of the best facial sunscreens around is Clarins: UV Plus Day Screen with SPF 40. (compare prices) Its light as can be mineral base makes it soak in fast with a matte finish. If I could, I would buy truck-loads of this! Repeat after me, “I will not let my feet go without proper care this fall and winter”. Say it, and mean it. Your feet are going to be stuck inside your boots and heals for months to come, and if you continue taking care of them and exfoliating them on a regular basis, you’ll have no problem popping back on your sandals when the time comes. Plus, having nice feet just make you feel good, so grab a foot scrub and keep it in your shower. My all-time favorite is H2O Plus: Pumice Foot Scrub. (compare prices) (read my review) Scrub your feet 1-2 times a week and you’ll enjoy soft feet that won’t snag your sheets. Ew. One tell-tale sign of cold weather is dry cuticles. And many times your regular hand cream isn’t heavy-duty enough to tackle dry cuticles. By investing in a cuticle oil, (compare prices) you can quickly take care of the cracked skin and avoid that painful condition that’s so wide-spread in the cold months. Simple apply oil onto your cuticles and rub in. Do this a couple times a week for best protection. Fall is a great time to take a look at your nail polish collection and see what you are lacking in terms of deep colors. Pack away the cotton candy pinks and pastels and bring forward the burgundy’s, plums or even grab a chocolate brown, which is bold, but easier to wear than black. Sparitual has a fantastic array of vegan nail polish colors to choose from. (compare prices) They are DBP, formaldehyde and toluene free.